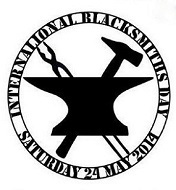 International Blacksmiths’ Day is this Saturday, May 24, 2014. The Metal Museum in Memphis, TN will offer free admission and blacksmithing demonstrations all day. Learn more about The Metal Museum here. Central Virginia Blacksmith Guild is hosting “Festival of Iron & Wine” at Grayhaven Winery in Gum Spring, VA. Proceeds benefit construction of a new barn at Grayhaven to house the Guild’s center for blacksmith arts. 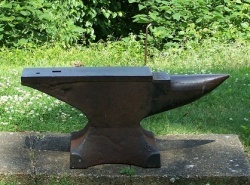 Visit the Central Virginia Blacksmith Guild website. In England, visitors are invited to join in celebrations at The Smithy Heritage Centre, Eccleston. About The Smithy. Look for other events in your area!